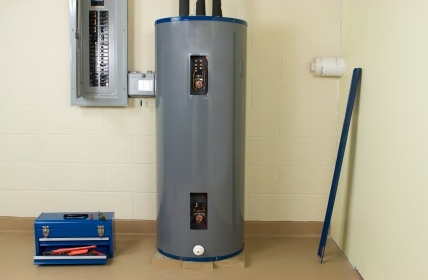 Does your Village of Loch Lloyd Water Heater need Repair, Replacement or Installation? With so many companies offering to fix your water heater in Village of Loch Lloyd Missouri, it can be hard to make a decision. If you choose Kevin Ginnings Plumbing Service Inc., you can rest assured that you’re trusting the job to competent professionals. We’ve been servicing water heaters in Village of Loch Lloyd since 1985. Let Kevin Ginnings Plumbing Service Inc. be your first name in Village of Loch Lloyd water heater repair, day or night. Don’t let your water heater woes stop you from getting a shower before work, or taking that relaxing bath at night. Call (816) 832-4322 anytime your water heater needs work. Kevin Ginnings Plumbing Service Inc. been servicing water heaters in Village of Loch Lloyd since 1985, so it doesn’t take us long to pinpoint the problem and fix it. Sediment buildup is a common cause of many water heater problems, especially if you have hard water. It can cause the water heater to make loud popping noises, or give your water a foul “rotten egg” smell. If your water doesn’t get hot, or takes too long to get hot, there’s most likely a problem with your gas burner or electric heating element. We didn’t get to where we are today by cutting corners. We understand how important your water heater is to you. Without it, you can’t bathe, wash dishes or do laundry. You can count on Kevin Ginnings Plumbing Service Inc. to treat your water heater like it’s our own. Don’t take our word for it, just ask our many satisfied customers in the Village of Loch Lloyd area. With our years of experience repairing water heaters in Village of Loch Lloyd Missouri, you can depend on us to get the job done right. When your water heater is up and running again, you’ll be glad you called Kevin Ginnings Plumbing Service Inc. to do the job. For your free quote, call us at (816) 832-4322 today!